PLEASE NOTE: the Streif Attack tournament is not included in any package. The Streif Attack can only be booked through the hotels! Hiking boots or sturdy footwear essential. Subject to change! The night-time golf tournament at Schloss Kaps is only available to book through the hotels! The tournaments of the Kitzbühel Golf Festival are to be played in accordance with the Official Rules of R & A Rules Limited, the handicap and competition regulations of the Austrian Golf Association (ÖGV), the ÖGV competition guidelines and the special rules set out by the competition organisers. 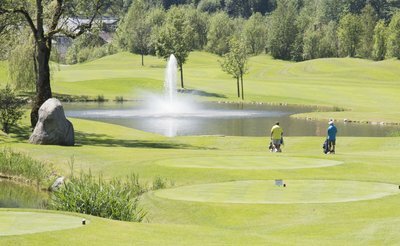 Amateurs with a handicap of 45 or better who are members of a recognised club affiliated with the ÖGV or an equivalent foreign golfing association. 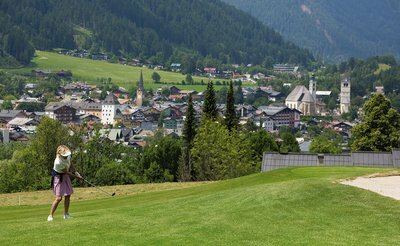 In general, entry fees can only be paid online through the website www.golffestivalkitzbuehel.at, with the exception of hotel packages in which tournaments are booked directly as part of the hotel reservation. Entry fees cannot be paid by telephone, e-mail or fax, etc. PLEASE NOTE: the entry fee includes: tournament entry, green fee, halfway house refreshment and evening meal. The Streif Attack is not included in any package and must be booked and paid for separately. 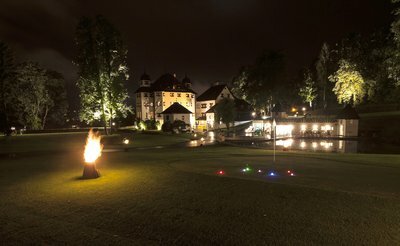 The Night-time Castle Tournament is not included in any package and must be booked and paid for separately. By 3pm on the day before the tournament, or when the maximum number of participants has been reached. The tournaments are flighted by handicap. Custom flights are started after the high handicap flights. For administrative reasons, subsequent changes to tournament entry must be communicated to the organisers by email: marketing@rasmushof.at or by phone: +43 5356 65252. The cancellation fee is EUR 20.00 per tournament. 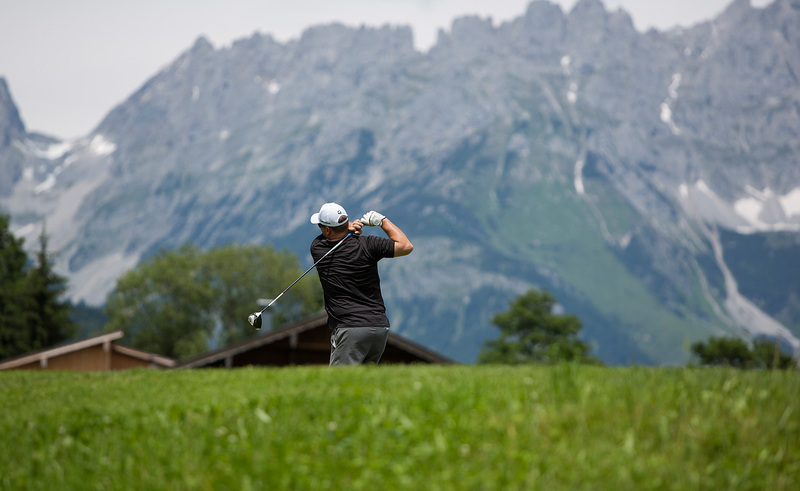 Rankings are calculated according to the best four gross results (at individual handicap tournaments) achieved during the Kitzbühel Golf Festival tournament week on the following courses: GC Kitzbühel, GC Kitzbühel Schwarzsee, GC Eichenheim und GLC Rasmushof. In the event of a tie, the most victories, second place finishes etc. will be taken into account. The tournament officials shall be chosen by the organiser and displayed alongside the referees, special course rules and tee times on the club notice board. The decisions of the tournament officials are final.